Dec 9th we will have LuLaRoe at the studio from 6pm-9pm so come out and SHOP!! 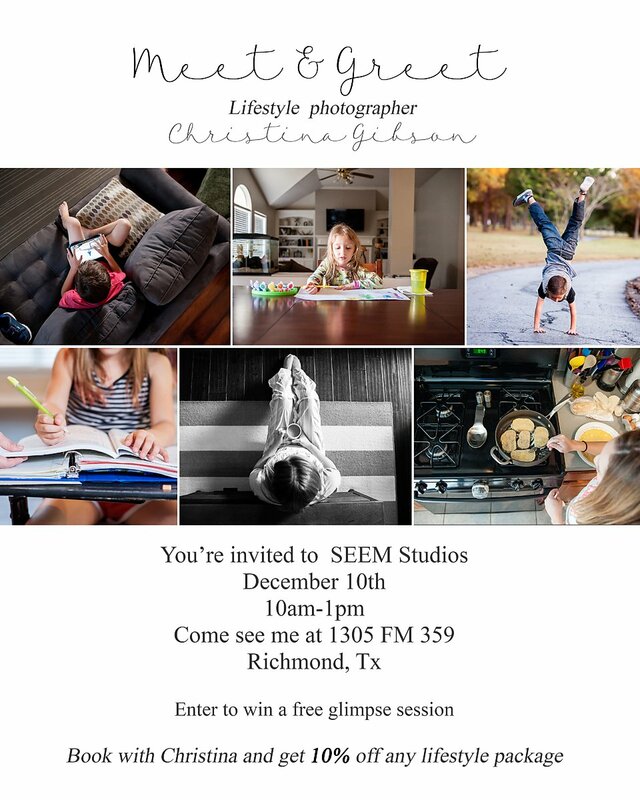 Dec 10th come out and meet Christina our Lifestyle photographer! 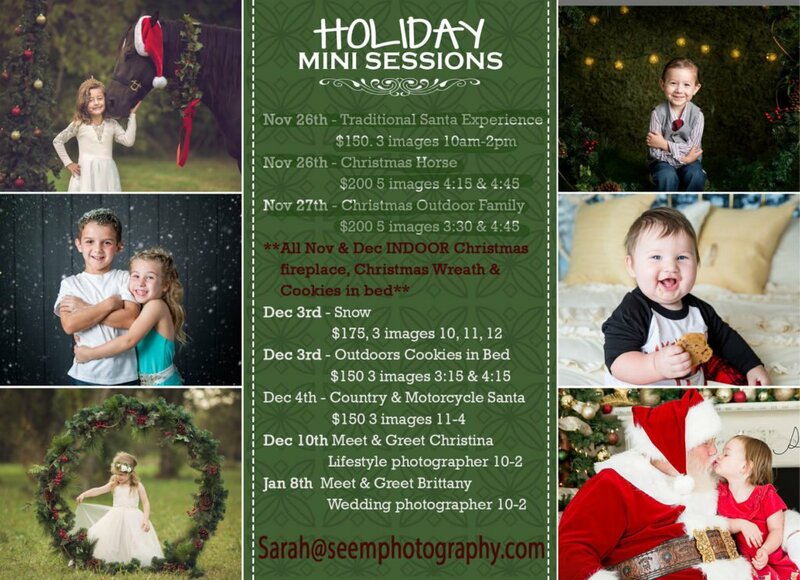 Book your session and save 10%!! 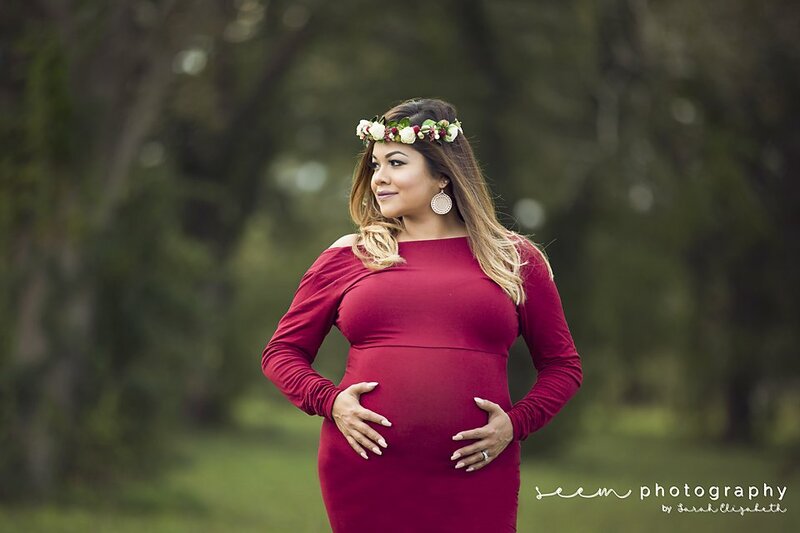 All month long we are having Maternity Minis and Sitter Milestone (6m-12 m) sessions. Don’t miss out, there are over 50 gowns to choose from. 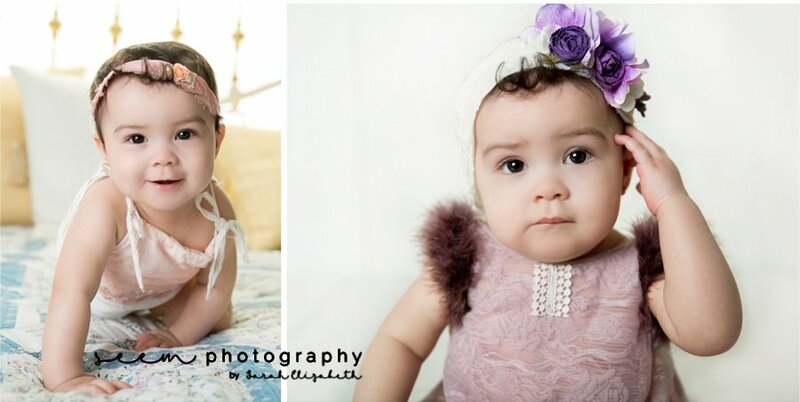 Also, several options for Sitters girls AND boys! Next month we will have a Meet and Greet with our Wedding photographer Brittany, so mark you calendars. We are winding down the year and so excited to spend time with our family and friends! We hope everyone has a safe and blessed Christmas.